Our partner and vendor relationships are important to us.  Whether you're looking for customized product, materials for your own label, or want to know about our current batch, Mendocino Generations is currently open to working with new preferred vendors. If you'd like to work with us, get in touch. There are many benefits to working with Mendocino Generations, starting with the fact that we are over 50 farms. That means product variety, consistent quality, and the existing marketing of 50+ farms on social media. From individual pre-rolls and pre-packaged flowers to bulk flowers, from full season to year-round, we have what you're looking for. We are interested in working with like-minded retailers. Please get in touch if you want to hear more about what we have. Farming comes first for us, and relationships are a close second. Mendocino Generations is an alliance of many experienced farms with a lot to offer. With our streamlined ordering process, you will have access to products from 50+ farms through one account manager. Are you a distributor who is interested in what we do, and value a lasting relationship? If so, we’d love to hear from you. Our farmers are in compliance and state licensed. Let us know if you’d like to work together. Are you looking for something specific? Small batch farming means that we have access to a variety of strains. Working with Mendocino Generations means that you have the ability to place customized orders and reserve batches.Our farms are organic, clean and pesticide-free. We like to collaborate and can provide you with our current batch, customized product, or material for your own label. Flower, smalls, trim—we have it all. If you don’t see what you’re looking for on our current Menu, please let us know. We may have it on the way.